I like to imagine Bob Dylan tearing pages out of the rule book and feeding them one by one to a roaring fire on the windy beach in Mister Tambourine Man. 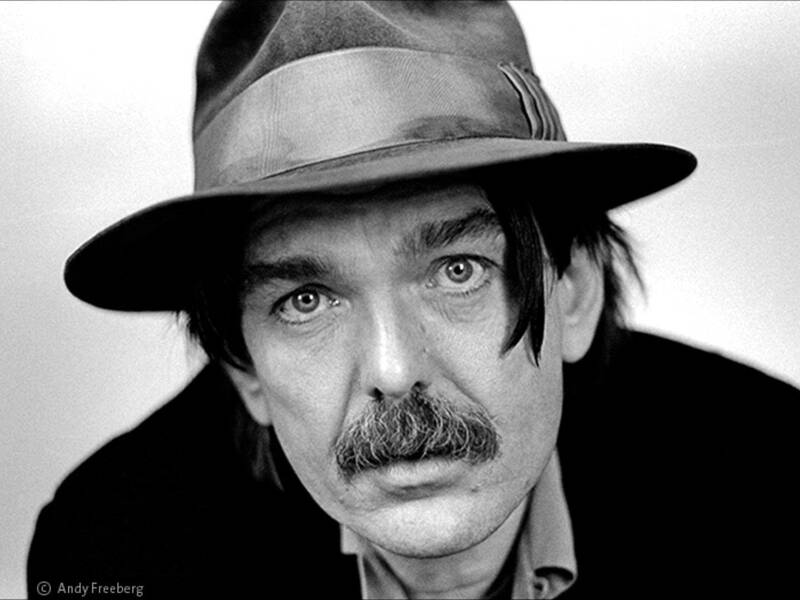 But perhaps the best candidate for Most Complete Musical Rebel of the 1960s was Captain Beefheart. Don Van Vliet, to use his civilian name, certainly ticks all the boxes … though I can’t imagine he would enjoy filling in the forms. 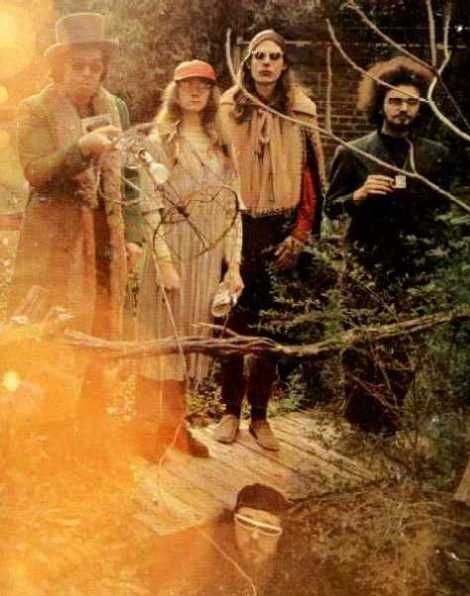 There’s a filmed interview where Beefheart describes the bom-bom-bom-bom-bom of commercial music as ‘the mama heartbeat’ – a hypnotic that sent people into a trance, he believed, a cataleptic state from which he sought to shake them with his fractured and wildly unpredictable music. And just down the beach from Bob Dylan, here we see The Magic Band pretending to imitate the surf boys but please click on Diddy Wah Diddy to spot early signs of subversion. Widely acknowledged as The Magic Band’s masterpiece, Trout Mask Replica broke new territory in sheer Dadaist daftness. Almost as weird is the story of this monster double-album’s making as told in the excellent 1997 BBC Documentary – public broadcasting, yay! – narrated by John Peel, the DJ who made the band famous in the UK. Come to think of it, why are you wasting time reading this when you could be watching the documentary? Oh no, you’re still reading … I expect you want to know what I think of the album. The short answer is, I’m trying hard not to. That front cover gives me the heebie-jeebies and this back cover scares me shitless. Who are these crazy people, that they invade my dreams and point their alien death rays in my direction? OK, feeble attempts to be funny aside, time to come clean! 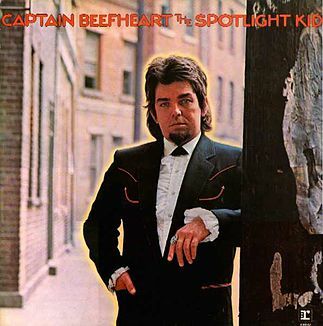 My name it is nothing (thanks for that, Bob) and I am a Captain Beefheart junky. I like everything he did, the weirder the better. TMR is a bona fide work of genius which should be heard all the way through at one sitting – hence no tracks here – and LMDOB, though it doesn’t always hang together, isn’t far behind. 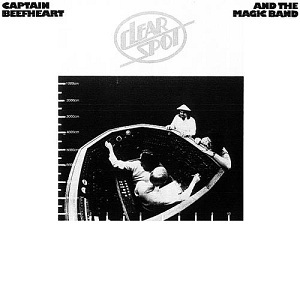 Mister Zoot Horn Rollo / Hit that long lunar note / And let it float …..
By contrast, the cover of Spotlight Kid shows the good Captain as a model of sartorial elegance, albeit a little dandified. But spin the platter and any suspicion he’s become a lounge lizard is dispelled after a few notes. We hear the old brain-mangling rhythms, the wild lyrical pastiche, the whole crazy circus – as here, in a live and dangerous version of the album’s most compelling track, Click Clack. The mid 1970s were his wilderness years. Soft rock and singer-songwriters held sway and there seemed to be no place for this eccentric genius, never a friend to fashionable formulas. It took the rise of punk to bring him back in favour but Shiny Beast (Bat Chain Puller) was no garage record. Adventurous horn arrangements created a distinctive new soundscape for his usual flights of vocal fancy.The title track was an attempt to replicate the rhythm of windscreen wipers on a car at a level crossing with a train lumbering slowly past … his composing method always more like painting, daubing sound in layers. If all art aspired to the condition of music, as the Victorian critic Walter Pater believed, then you could count on Don Van Vliet to be moving in the opposite direction. For fans of Beefheart’s weird side, Doc At The Radar Station was even more welcome. Here he returned to late 60s demos and created new songs around them, like Dirty Blue Gene, just as good live in 1980. And as for his last ever record, the third of his acclaimed come-back albums … would his newly-diagnosed illness and his return to painting find him muted and mellowed, taking the company shilling, selling out to the man at last? Anyone would have forgiven him for taking it easy. The opening shot in the next clip looks promising. There he is, silhouetted against the golden evening sun, standing calm and quiet in a big old hat … tell you what, why don’t we give the old reprobate one more chance to prove he’s a reformed character? Let’s hit the album’s title track, kinda sweet idea ain’t it … Ice Cream For Crow? Half a year in and one theme runs through all my WordPress posts so far – breaking the rules. Rules aren’t laws, right? Rules are more like blueprints. The Tin Pan Alley blueprint encourages music written to a formula because it is easily duplicated by low-paid hacks with drum machines. But the music that hits me hard enough to burn the moment of first hearing on my brain always breaks the mould – sometimes musically, sometimes lyrically, more often with a startling new combination of melody and rhythm and words. How does this happen? It’s well known that sentient beings respond more intensely to novelty than to routine, a trait perhaps evolved to enable rapid ‘flight or fight’ decisions. So maybe it’s just newness that clicks the camera of my mind? Nah, there must be more to it than a dumbass kneejerk reaction. I like to imagine Bob Dylan tearing pages out of the rule book and feeding them one by one to a roaring fire on that windy beach. But perhaps the best candidate for Most Complete Musical Rebel of the 1960s was Captain Beefheart. Don Van Vliet, to use his civilian name, certainly ticks all the boxes … though I can’t imagine he would enjoy filling in the forms. Ah, those crazy old times! Let’s flash forward ten years to Beefheart’s final record, the third of three acclaimed come-back albums. Surely by now he will have mellowed, taken the company shilling, sold out to the man? The opening shot in the next clip looks promising. There he is, silhouetted against the golden evening sun, standing calm and quiet in a big old hat … tell you what, why don’t we give the old reprobate one more chance to prove he’s a reformed character? Let’s hit the album’s title track, kinda sweet idea ain’t it … Ice Cream For Crow?